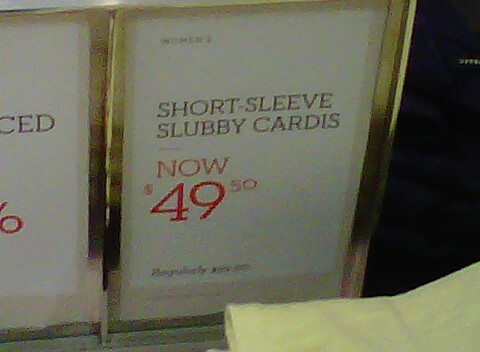 Why in the world would Banana Republic name their sweater a "Slubby Cardi"? That is terrible marketing. At least the genius behind the Boyfriend Jean and Boyfriend Sweater had the good sense to disguise their product with a cute name, instead of calling it the ill-fitting, unflattering baggy jean, or the add-10 pounds-to-your-frame sweater. Come on Banana. Use a thesaurus next time.